Robyn was 27 when she had a SCAD, two weeks after her third child had been born. She and her fiancé Paul were on the way to see a band they thought they might book for their wedding when she began to feel unwell. She felt hot and had a pain in her arm. Her mother tried to reassure her that she was just having a panic attack because it was the first time she’d left her new baby. The feeling didn’t pass so Paul talked to his step-father who’s a paramedic and his advice was to go to A&E. Paul raced to Northampton Hospital with Robyn slipping in and out of consciousness in the car. Robyn remembers little of the car journey. As they got to A&E, Robyn collapsed and her heart stopped. She was rushed to resus and about 40 minutes later a doctor told Paul and her mum to prepare for the worst and to call any family down. Initially, emergency doctors suspected she’d suffered a massive pulmonary embolism, a blood clot caused by her recent pregnancy. Her heart had stopped and she was not responding to treatment. 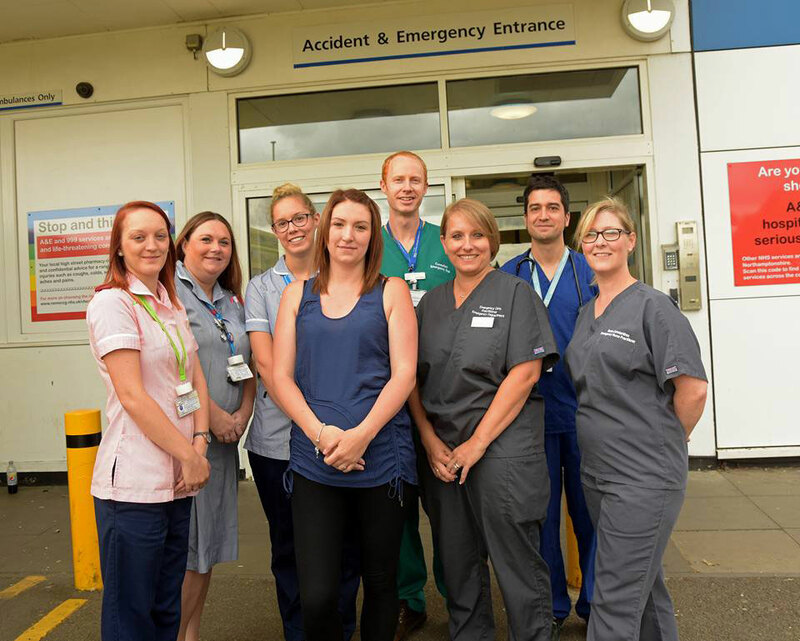 22 members of A&E staff carried out CPR, battling to save Robyn’s life. 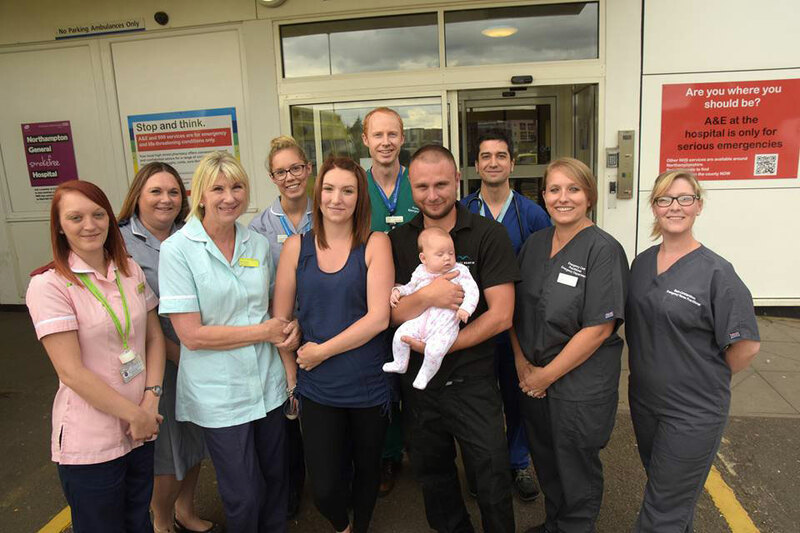 After more than an hour of fighting to get her heart working again, the A&E team revived her. Then Robyn went for a CT scan, which showed no blood clot, so they then looked at possible cardiac problems. She was rushed to Kettering Hospital where there is a specialist heart centre, and the cardiac team confirmed that one of Robyn’s coronary arteries had torn as a result of having a SCAD. She had six stents inserted into the artery. Robyn and Paul had the chance to meet and thank some of the A&E team who saved her that night. Northampton emergency medicine consultant Dr Tom Odbert said: “Robyn was extremely lucky to be in hospital when she collapsed where she had immediate, aggressive and persistent resuscitation, and a transfer to a heart attack centre promptly for definitive treatment.